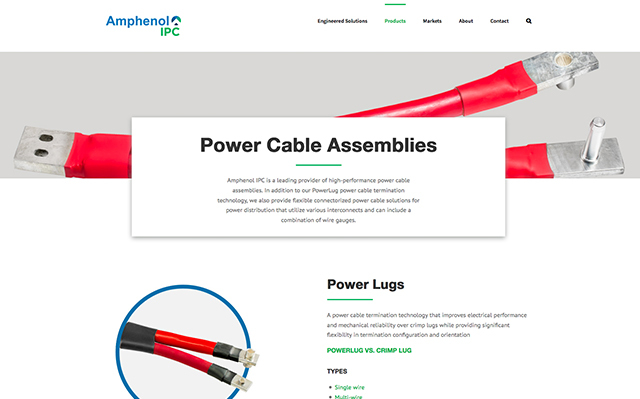 Amphenol is one of the largest manufacturers of interconnect products in the world, with locations in the United States, China, Germany, Puerto Rico, India, Korea, Brazil, and the UK. 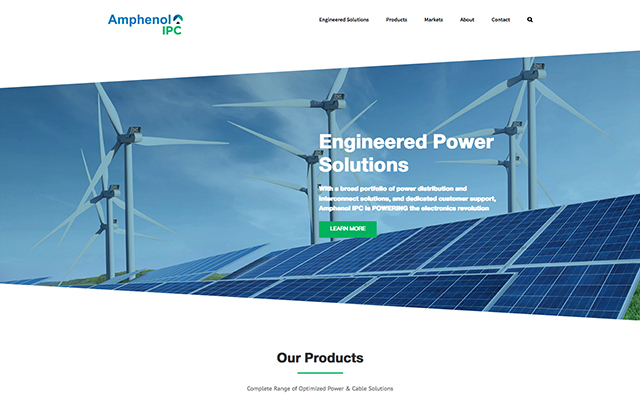 We worked with Amphenol Interconnect Products Corp. (IPC), a subdivision of the international corporation, to develop their branding, collateral materials, and website. 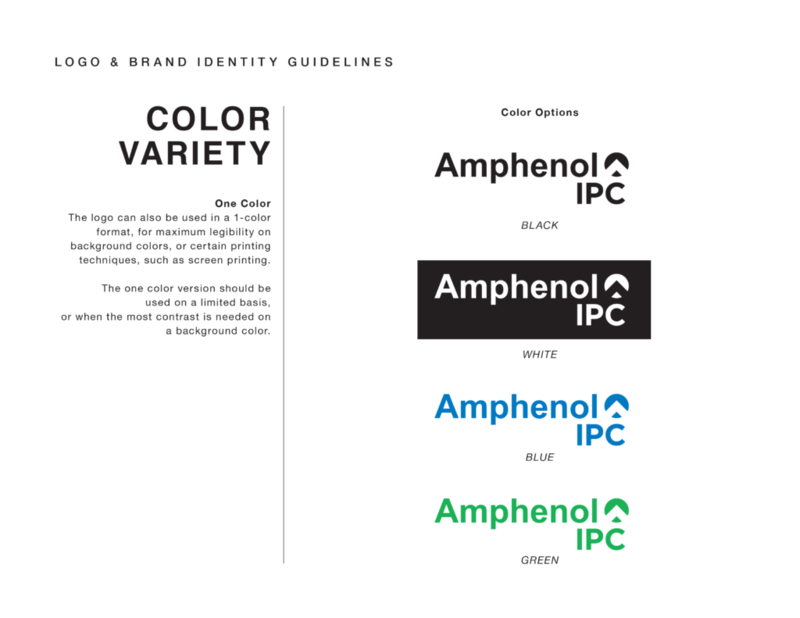 Amphenol IPC needed its own identity that felt more modern than their previous branding while remaining integrated with the other divisions. We conducted extensive research and interviewed key stakeholders in the US and Europe to better understand what would set them apart in a global market. Our research showed that the IPC team wanted to establish credibility, bring the logo into the modern era and improve communication efforts. 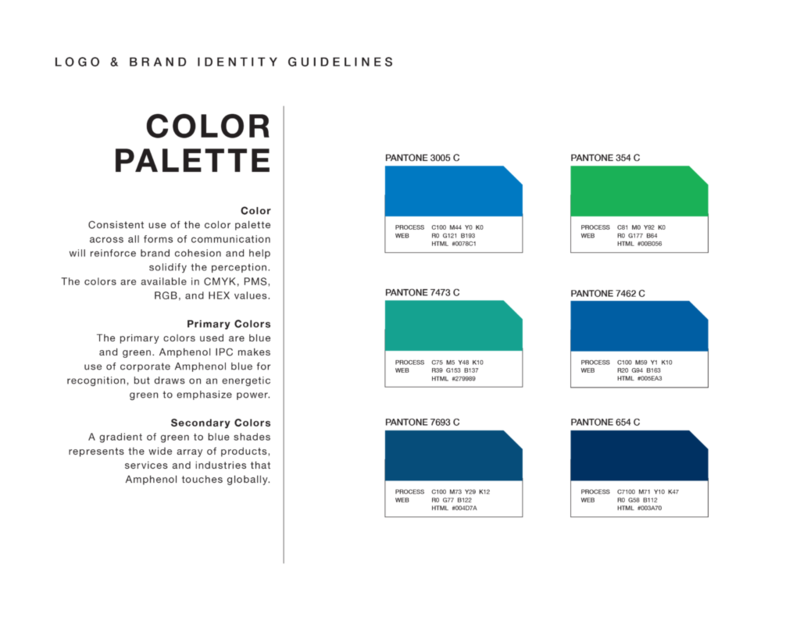 Before landing on the final brand concept, we explored renaming the subdivision to something that more directly referenced the interconnect industry. 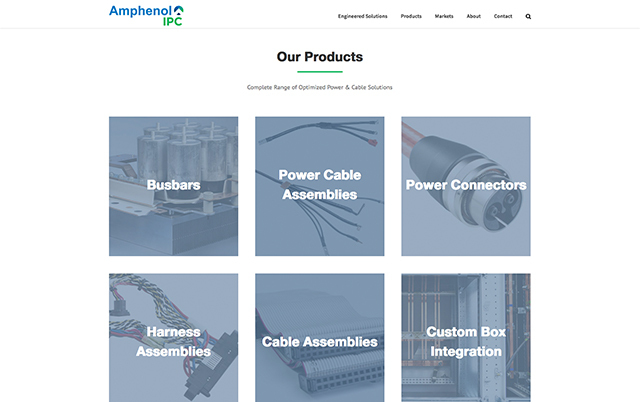 However, we shifted gears to accommodate other company voices who did not want to stray from the original name, Amphenol Interconnect Products Corp. From there, we established a fresh, bold branding that represented the company’s history and growth. 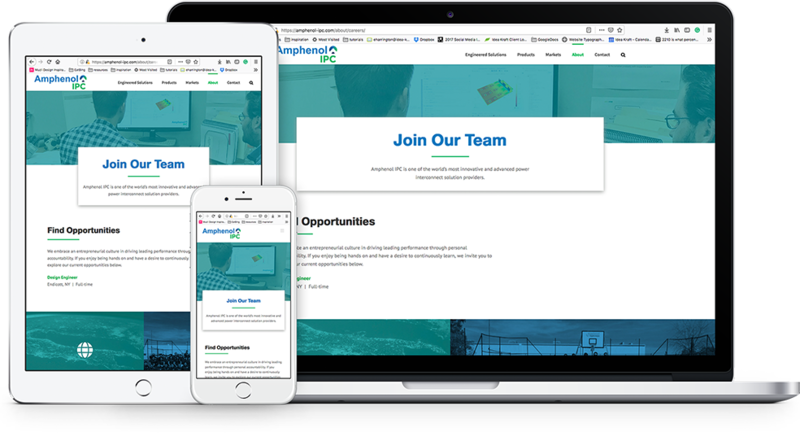 In addition to building a user-friendly and engaging website, we expanded Amphenol IPC’s sales approach with a new sales kit, custom PowerPoint templates, and collateral. The sales sheets were translated into multiple languages for the company’s international divisions. We also produced commercial photography to showcase Amphenol IPC’s products and create brand consistency across all platforms.